The story begins in 1979 when a young man named Leibish Polnauer – a diamond polisher by trade – was traveling to London, while reading 'The Guardian.' Leibish sat on the train reading the paper, having just found out that the factory at which he worked had been shut down. An advertisement from the royal crown jeweler Garrard‘s caught his attention. They were seeking a 6-carat pear-shaped diamond. Leibish decided to make the phone call and take his future into his hands. "For some reason they connected me to the general manager of the company," he says with a smile, "and I tried to sell to him." Leibish offered his services as a diamond dealer to them, although he did not actually have any stock of his own - and was invited in for a meeting! They explained that they needed about 80 pear-shaped diamonds in two weeks, and Leibish said that he would provide them. 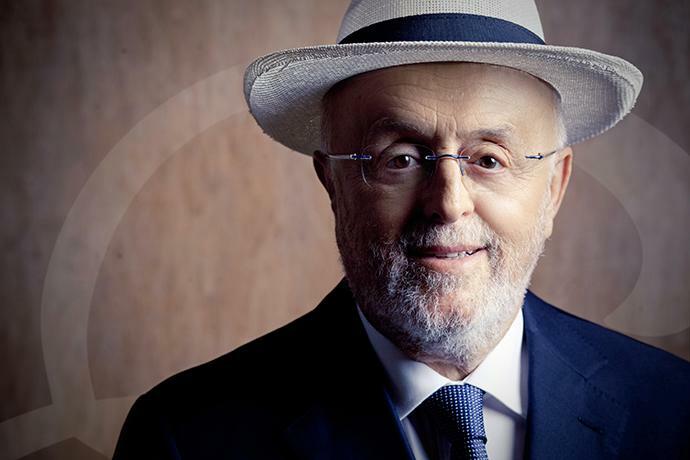 With the guarantee that he would do so, Leibish traveled between Tel Aviv and New York City. About 120 thousand British pounds later (the equivalent of $1 Million), he returned to Garrard with the assortment of stones that was requested. The jeweler bought everything, and Leibish’s love for fancy shapes and fancy diamonds was born. 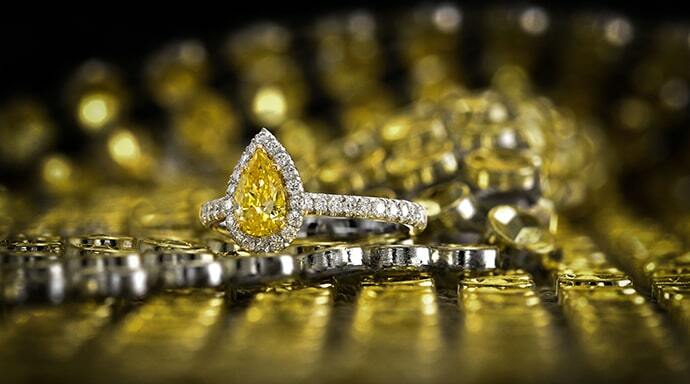 More than three decades later, Leibish & Co. is the leading source for natural colored diamonds and jewelry. Many of the world's most prestigious jewelry designers and manufacturers call on Leibish & Co. for the diamonds that will complete their designs and ignite their creativity. In addition, Leibish & Co. has developed a steady base of loyal international clientele who continue to purchase due to the outstanding level of customer service that they receive. In 1995, Leibish & Co. was one of the first diamond companies to launch an online portal. They launched www.leibish.com in order to utilize the Internet as a marketing, customer service, and sales tool to reach its vast array of international customers. Leibish & Co. strives to be the premier supplier of natural Fancy Color diamonds in all colors, sizes, and price ranges. The stones that they sell can be found in hues of pink, yellow, blue, orange, green, champagne, red, purple, violet, gray, black, white, and a multitude of combinations of these colors. The company also manufactures and sells their in-house designed unique color diamond jewelry. 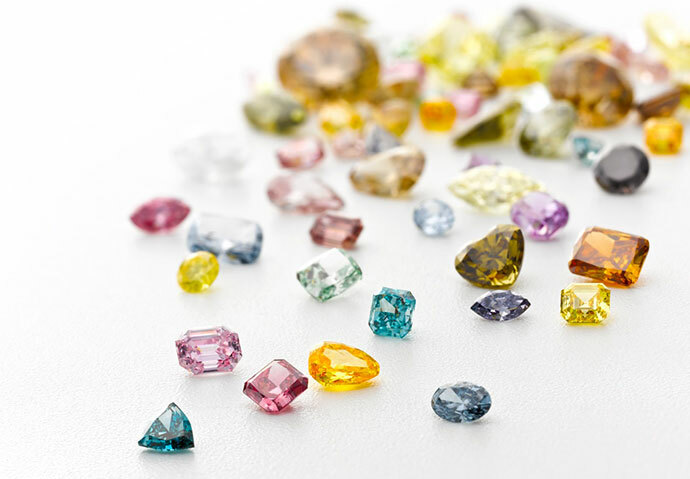 The company’s diamonds come from the mines that source colored diamonds, including Argyle in Australia, and vast mines in Africa, India, and Russia. All diamonds that Leibish & Co. uses are from conflict-free, legitimate sources in compliance with UN Resolutions. Leibish & Co.’s primary focus is to achieve each and every customer’s satisfaction. As a family-run business of over 30-years, the company takes immense pride in its business, and yet is always looking for ways to do things even better. Every member of the team has a specific expertise and works together to build on one another. At Leibish & Co., highest quality workmanship is the calling card. The company designs, manufactures and markets jewelry made from diamonds that are precisely calibrated for size, and graded for color. 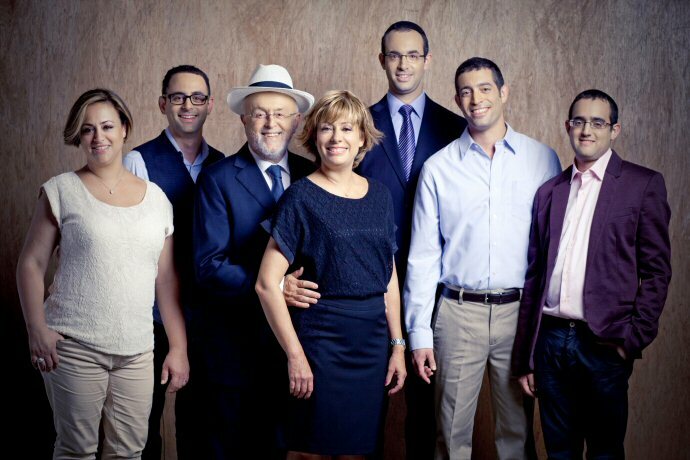 Leibish & Co. listens to its customers and match its diamonds to fit their individual needs. The company’s wide assortment of fancy shapes, including round, oval, pear, emerald, princess, radiant, marquise, and heart, enables designers to produce jewelry with creativity and sophistication. Leibish & Co. guarantees the authenticity of the natural color of every stone. Leibish & Co. also offers customers a service policy to ensure complete satisfaction, regardless of the size of the order. Introduce yourself to a world of color!